This numeracy unit addresses telling time to the minute, the relationship between units of time, converting between units of time and using 'am' and 'pm' notation to solve simple time problems. 4 Do You Have the Time? To understand how to tell time to the minute and investigate the relationship between units of time. To understand the differences between analog and digital time displays. To tell the time using analog and digital time displays. To refine and consolidate knowledge of time conversions. To explore units of time and how to convert between them. To apply knowledge and understanding of time to a real-world context. To understand am and pm notation and calculate elapsed time. To apply knowledge and understanding of time zones around the world to complete a classroom time zones display. This Numeracy unit provides excellent opportunities for cross-curricular integration. Look for ways to meaningfully integrate the content of the unit with other learning areas e.g. Literacy, Geography and Science. Prior to commencing the unit, develop a Time display in the classroom. Display posters, word wall vocabulary and learning goals that the students will engage with throughout the unit to stimulate their learning. 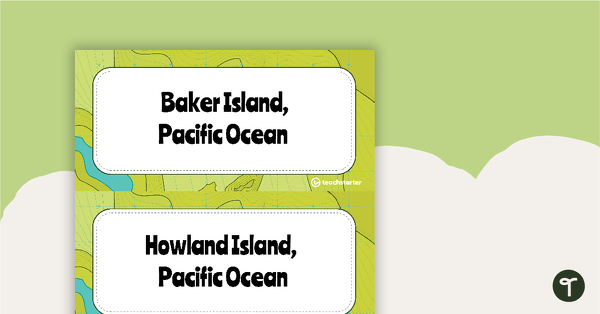 For examples of additional teaching resources to display in your classroom, browse the Time category on the Teach Starter website. A 60 minute lesson in which students will understand how to tell time to the minute and investigate the relationship between units of time. A 60 minute lesson in which students will understand the differences between analogue and digital time displays. A 60 minute lesson in which students will tell the time using analogue and digital time displays. A 60 minute lesson in which students will refine and consolidate their knowledge of time conversions. A 60 minute lesson in which students will explore units of time and how to convert between them. A 60 minute lesson in which students will apply their knowledge and understanding of time to a real-world context. A 60 minute lesson in which students will understand am and pm notation and calculate elapsed time. 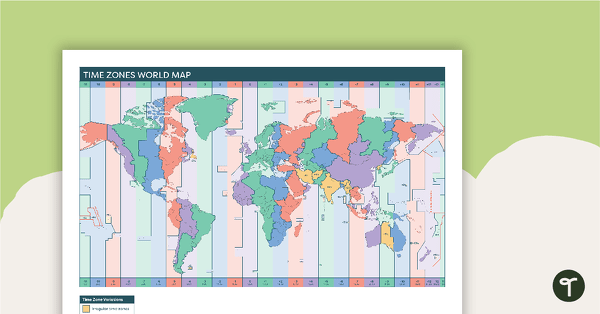 A 60 minute lesson in which students will apply knowledge and understanding of time zones around the world to complete a classroom time zones display. A 60 minute assessment in which students will demonstrate their knowledge and understanding of time. An engaging 13 slide PowerPoint to use in the classroom for investigating the relationship between units of time. A worksheet outlining how to make a sundial. 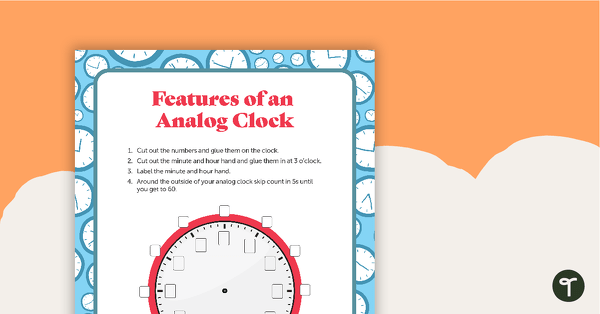 A worksheet for telling time to the minute and converting between analog and digital times. An engaging 12 slide PowerPoint to use in the classroom for investigating how to convert between units of time. A set of 12 problem solving questions on converting units of time. A set of 12 Math Word Problem Task Cards about converting units of time. A mathematics investigation about measuring time, embedded in a real-world context. A teaching presentation for students to work with and understand ‘am’ and ‘pm’ notation to solve simple time problems using time zones around the world. 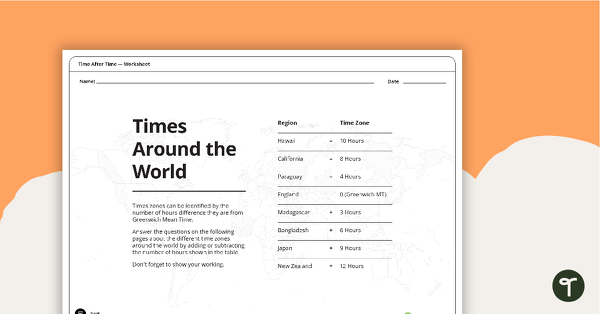 A worksheet for students to work with and understand time zones around the world. good animation on the PPTs.